With any drive-unit, it is ideally required that the diaphragm operate as a whole in its passband, not going into break-up where some parts of the surface go forward while others go backward. There are two philosophies in tweeter design that attempt to achieve this ideal. The first, and most common, is to recognize that break-up is inevitable, allow it to happen, but fashion the diaphragm from some lossy, well-damped material so that any resonant peak will be damped into inaudibility. Such "soft-dome" tweeters vary considerably in the success with they achieve this goal. Often, they have some kind of resonant behavior in the presence region where the ear is most sensitive, resulting in a noticeable fizz or sizzle to the sound. It might be thought that the material's inherent damping of this resonance would render it inaudible. Unfortunately, however, unless extreme, damping may reduce the height of the resonant peak, but therefore also tends to increase the area under the curve, making any reduction in audibility less than might be expected. (It can happen that adding damping to a very-highQ resonance will make it more audible because it makes the resonance more likely to be excited by typical music program.) In addition, soft tweeters quite often have some kind of resonant peak in the 1216kHz region, which adds, in the worst case, almost a "whistle" to the music. Invariably, in my experience, the soft-dome tweeters that suffer least from these problems are expensive. The second philosophy is to form the diaphragm out of some very light, very stiff material. 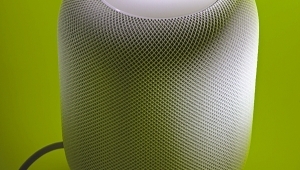 A metal of some kind is the obvious choice, but fiberglass, woven Kevlar, and resin-impregnated cloth are also popular. Here, the idea is to push the inevitable resonance way above the audio band, so that even if it is excited, it will not be audible. The dome will then act as a piston throughout the top of the audio band. The disadvantage of such an approach is that it is hard to make the moving parts of the driver light enough. If too massy, not only will be the main resonant frequency be moved down into the audio band, but the sensitivity will also be too low to be practical. 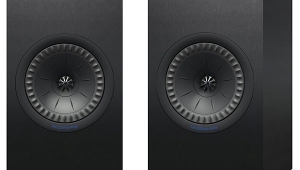 Making the dome smaller than usual will lower the mass, but the power-handling may well suffer and the smaller radiating area makes the tweeter less able to handle frequencies in the low treble, necessitating a higher crossover frequency. 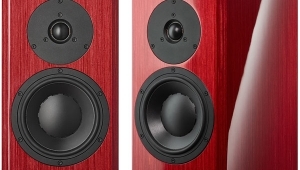 As usual with Monitor Audio models, the R300 enclosure, including the front baffle, is veneered in real woodthe review samples were finished in walnutwith all interior surfaces except the rear panel also veneered. This is said to increase cabinet rigidity; there are also vertical braces running the entire height of the side walls. The internal surfaces are covered with a layer of polyurethane foam to damp internal air-space resonant modes. The enclosure is relatively large for the price, though the fact that it is fairly deep gives the R300s quite a small visual profile. Of the drive-units, only the tweeter, which uses a very short horn flare to load the dome, is rebated into the baffle. 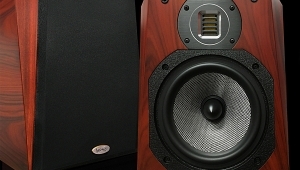 The woofer chassis, however, is profiled to minimize its acoustic discontinuity. 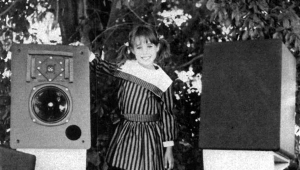 As with other current MA speakers, the crossover, which is attached to the rear of the terminal panel, is minimal. 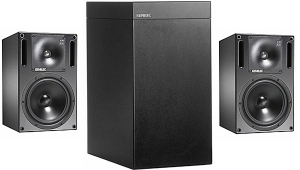 It consists of a ferrite-cored coil in series with the woofer and a second-order high-pass network, basically a series capacitor and a parallel air-cored inductor, for the tweeter. A series resistor is also used to match the tweeter sensitivity to that of the woofer. Electrical connection is via five-way binding posts. 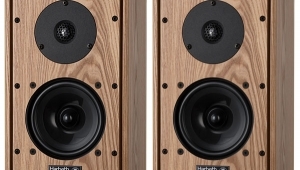 With the R300/MDs initially set up on 17" Hercules stands, it became quickly obvious that the listening height was too low, a notch in the low treble being audible. 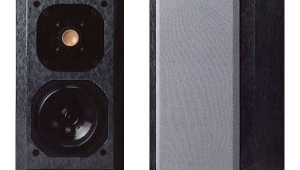 The metal Arcici "Rigid Riser" metal stands, set to their 20" height, were therefore pressed into service and proved to be a good match with the R300s, placing the tweeter at ear level. The grilles are profiled in the tweeter region to minimize diffraction/reflection problems, so although the speakers do look finished au naturel, I listened to the speakers with the grilles on. Moving up into the midrange, things were considerably improved, with an open, transparent nature evident. Perhaps a little forward in balance, the R300 still allowed the different tonal identities of violin (in its lower register) and viola to be well-differentiated. Female voice, too, was reproduced with a natural balance between chest and throat tones, though a touch of nasality was occasionally noticeable. 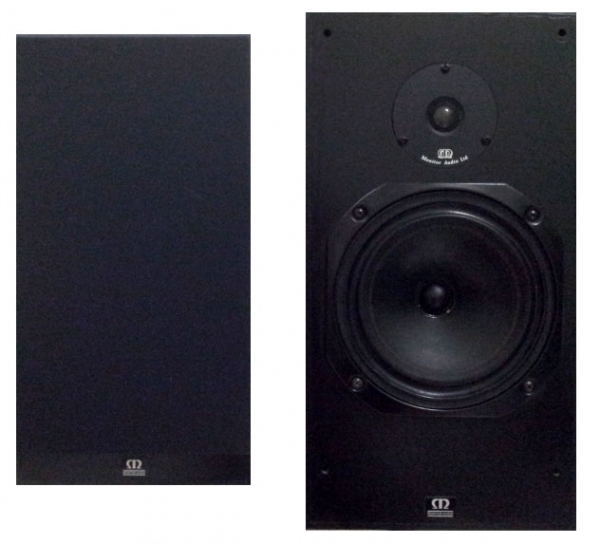 It was in the region of imaging that the R300/MD excelled, considering that it's basically an inexpensive speaker. Though the stage was a little narrow in the lower midrange and below, above that region the speakers threw a quite well-defined, wide soundstage, with individual instrumental and vocal images set back pretty much the right degree of depth, depending on the amount of recorded reverberation associated with each. The Steinway on my Chopin recording on the HFN/RR Test CD, for example, was reproduced with its soundboard extending from just left of center to the right-hand speaker position, set back behind the plane of the speakersjust as it should be reproduced. There was less depth apparent in the treble, however, the hi-hat cymbal on the HFN/RR CD's naturally miked drum recording being somewhat pushed forward at the listener. While not quite as holographic, therefore, as the similarly priced LS3/5a, DELAC S10, or Spica TC-50, the R300/MD still performs very creditably in this region, and will be much more proletarian in its demands for high-quality amplification. 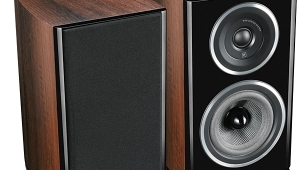 "Competent rather than outstanding," read my listening notes for the R300/MD. 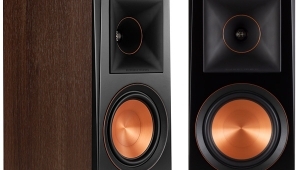 But wait a Mo'(footnote 2)we're talking about a $669 pair of speakers here, not some cost-no-object fantasy object! 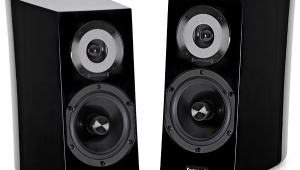 An easy high Class D recommendation, the Monitor Audio R300/MD strikes an excellent balance between tonal neutrality, the ability to play loudly and cleanly, and the power to resolve a deep, detailed soundstage. Faults are minor, mainly involving the gruff, rather indistinct nature of the upper bass, and the veiled quality to the lower midrange. Its high sensitivity, easy impedance load, and general lack of high-frequency nasties should enable its users to get the best from inexpensive electronics. 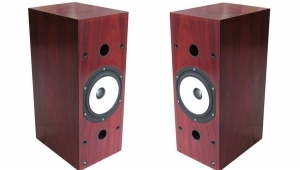 With the R300/MD offering this kind of performance for well under a kilobuck, as well as being a very attractive piece of furniture in its own real-woodveneered right, I am sure that designers for competing affordable-speaker manufacturers will be asked to put in some overtime at their CAD workstations real soon now. 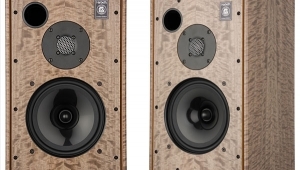 Footnote 1: It always astonishes me to see expensive speakers featuring tweeters that cost no more than a few dollars. 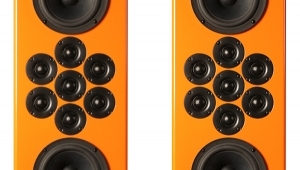 One idiosyncratic design that sold for $3000 a few years back featured an array of tweeters apparently identical to an OEM unit common among budget speakers. 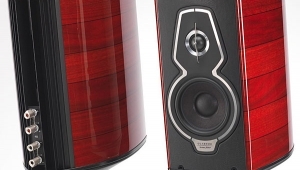 No matter how ingenious the design, it strikes me as self-evident that the sound of such a speaker will be limited in the treble to that possible from its cheap tweeter; ie, a sound hardly worth $3000, no matter how good it is elsewhere in the audio band. Footnote 2: Monitor Audio head honcho Mo Iqbal should definitely wait a mo'. North American distributor: Kevro International Inc.